6th day, almost the end of our trip, and probably the best part. The first part of the day was slow, horse back riding, checking out the Yosemite Museum and Ansel Adams Gallery and shopping for Yosemite souvenirs. 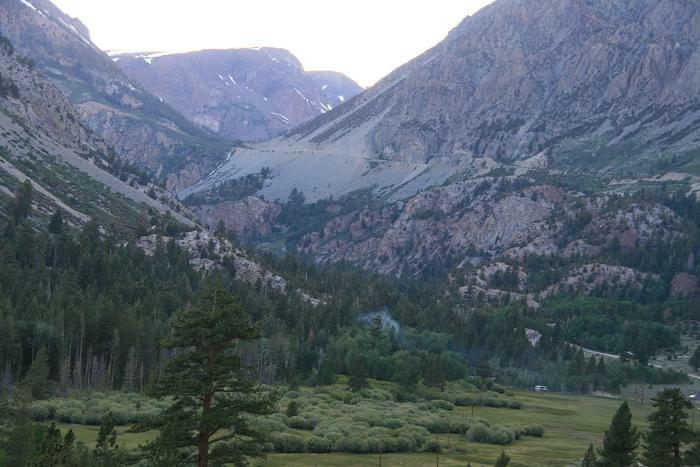 We left Yosemite Valley at about 4:00 pm for Mammoth Mountain, another great mountain resort in the Eastern Sierra. 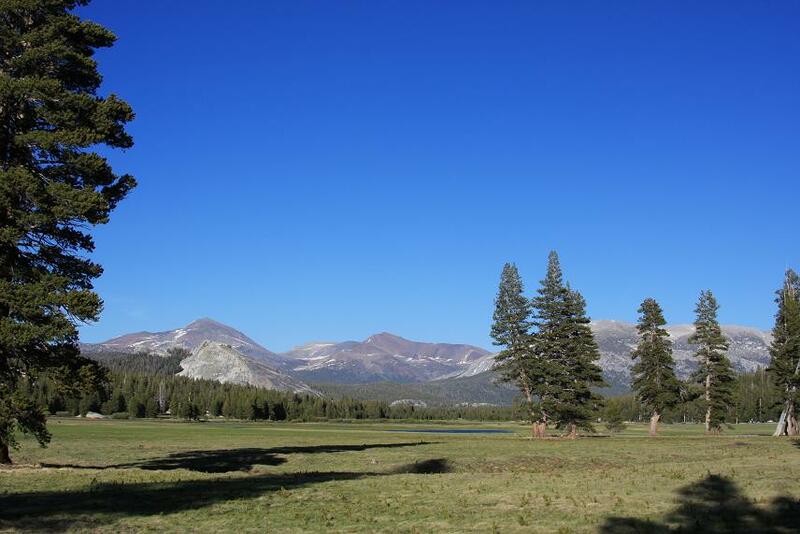 We took the Tioga Pass, and we had an almost adrenaline rush road tour, rush because we did some running or sprinting to make the most of our time in the High Sierra. We could have avoided the sprinting and just leisurely walked or hiked if we left the valley earlier. But then, we enjoyed the activities early of the day too. The pictures below are from some of the places we stopped, which would help in describing our trip. 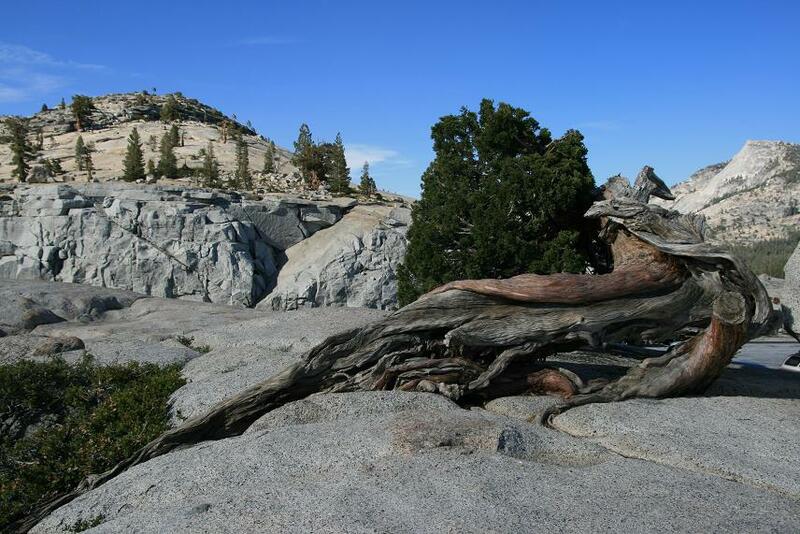 We reached Olmstead Point after about an hour drive from the Yosemite Village. 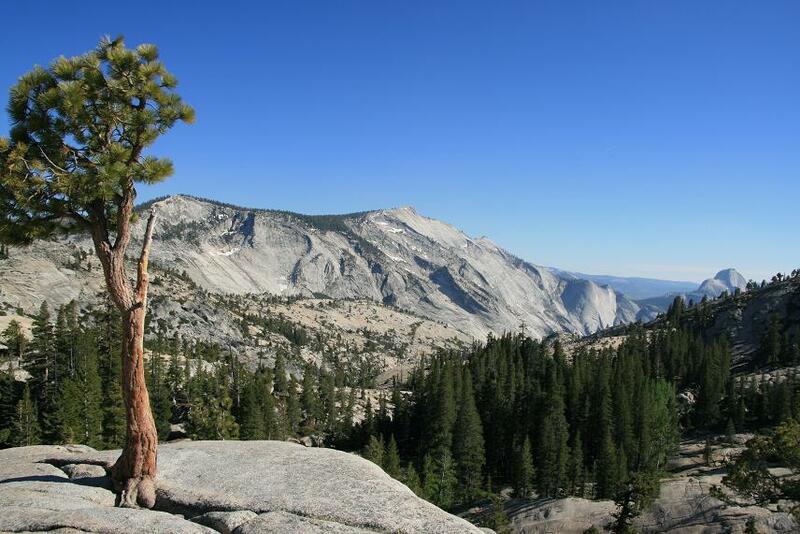 Olmstead Point is one of the viewing points in Yosemite National Park where one can experience an amazing view of some of the features of Yosemite without having to hike. 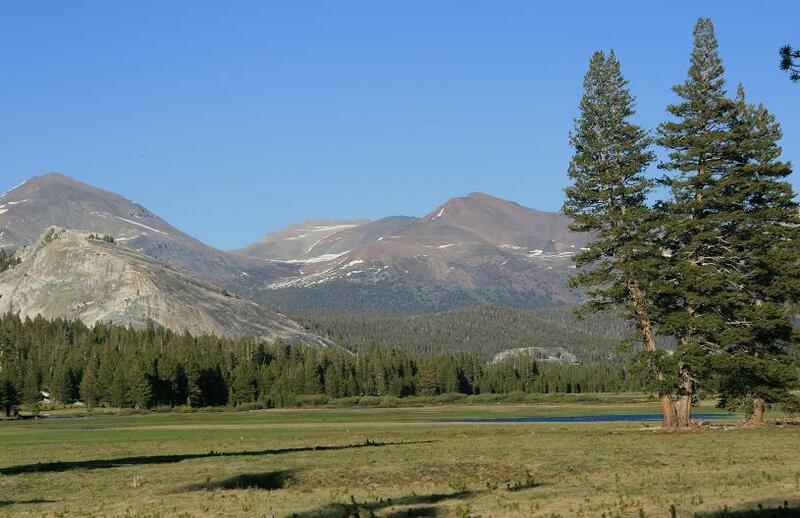 Olmstead Point may not be as widely photographed as Glacier Point and the Wamona Tunnel View, but if you are driving along Tioga Road, this is a very beautiful stop. 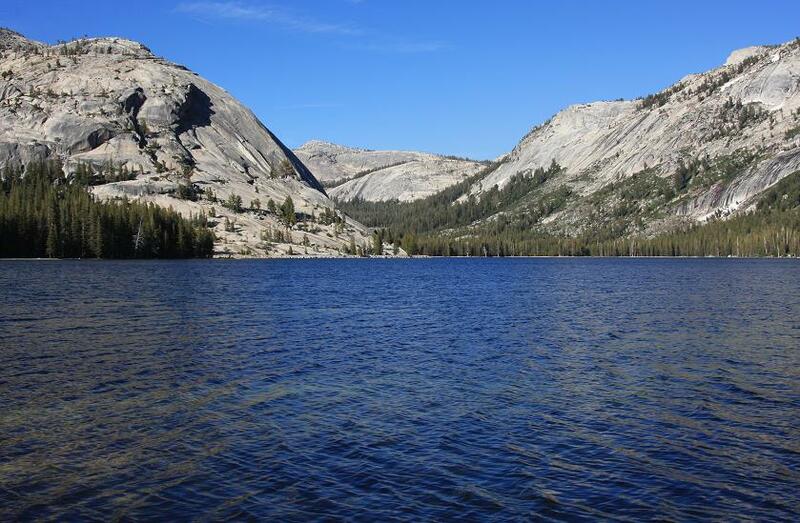 Tenaya Lake is a very beautiful and lovely glacial lake. 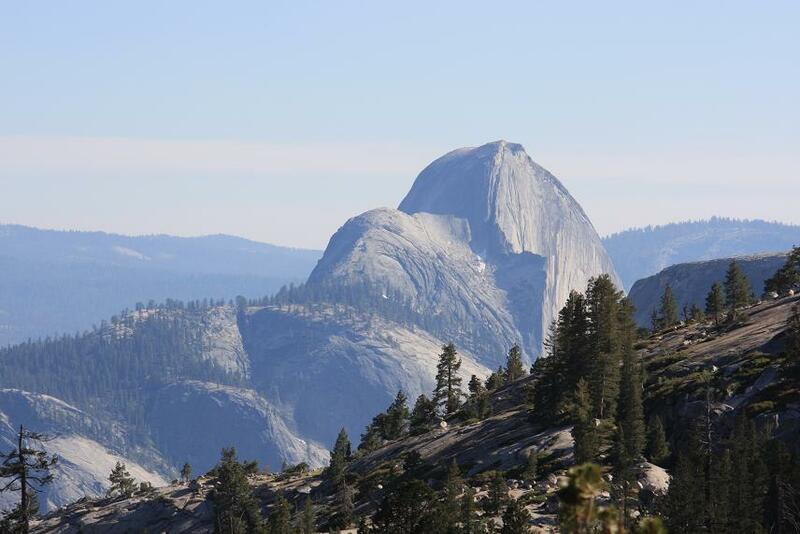 It is surrounded by glacier- polished granite domes. The Tenaya Lake was carved by the massive Toloumne Glacier, and the polished domes around it make it not just another lake. 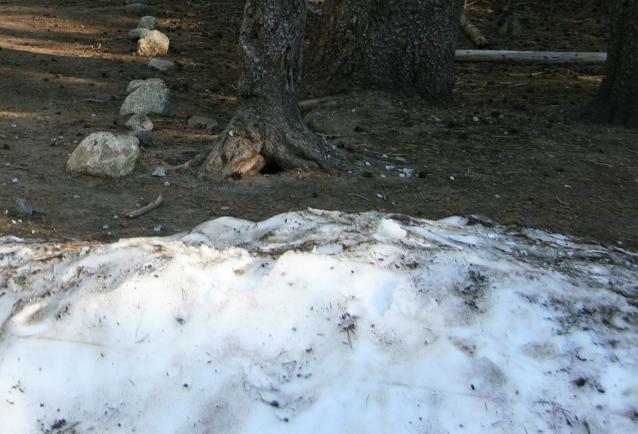 This is one of the most beautiful sights in Yosemite I’ve seen, yet, with very little crowd. I think aside from us (we were 5), there were just two other people enjoying the lake but they were quite very far from us. The feeling of having all the lake to ourselves was great, and we had a lot of fun photo opportunities without having to fight with the crowd. I could not resist the temptation of getting into the water, even if the water was extremely cold. The coldness of the water was no surprise for us though, since around the lake, there were still some snow patches that we played around for quite a bit. It was so cool to enjoy snow in the high 60s or 70s probably, and in the middle of summer sun! Tenaya Lake is one of the lakes in the High Sierra that can be enjoyed without hiking, but, one can hike the 2.5 miles loop trail around the lake, and there is very little elevation, making it a very easy hike. 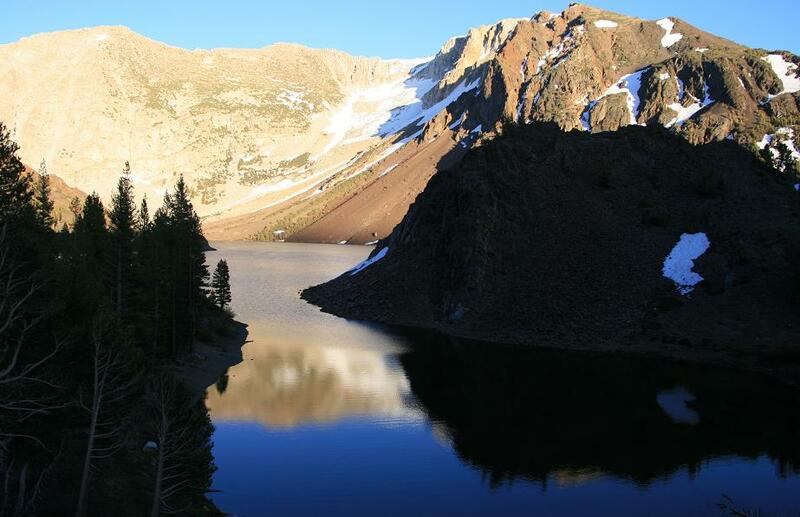 Again, if you are driving along Tioga Pass, don’t forget to stop at the lovely and peaceful Tenaya Lake. This is my favorite place in Yosemite. I find it hard to describe this place, it is just so beautiful for me. Seeing the purple irises about to bloom as we walked/sprinted around the meadows made me imagine how this meadow would even be transformed into a purple wildflower paradise. But despite being too early for the wildflower bloom, walking in the beautiful meadows is such an inspiring experience, almost dream like for me. I am always fascinated with geology and exposed colored layers of the earth, that is why the unique beauty of the painted desert has that very special place in my heart. 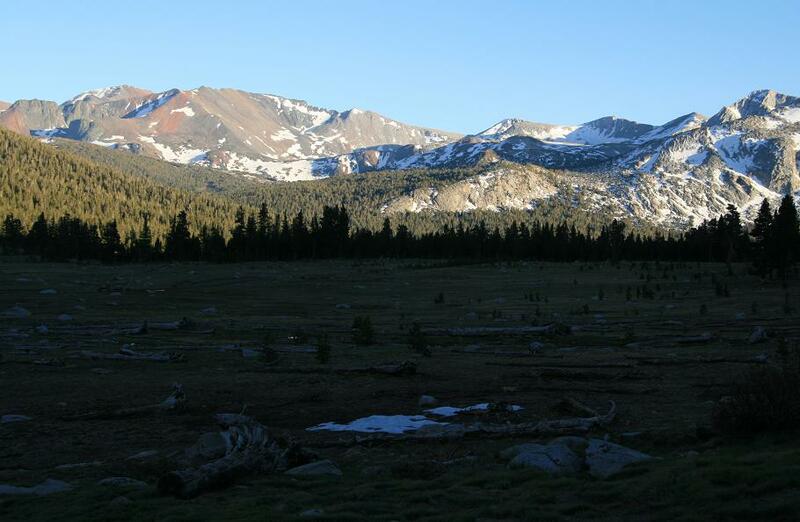 And in Toloumne Meadows, it feels like the exposed colored layers of earth ( a common sight in the desert), the glacier-polished granite domes and the forested mountain meet. This beautiful meadow may soon probably become also a forest of pines, since slowly, the pine trees are invading the meadows. 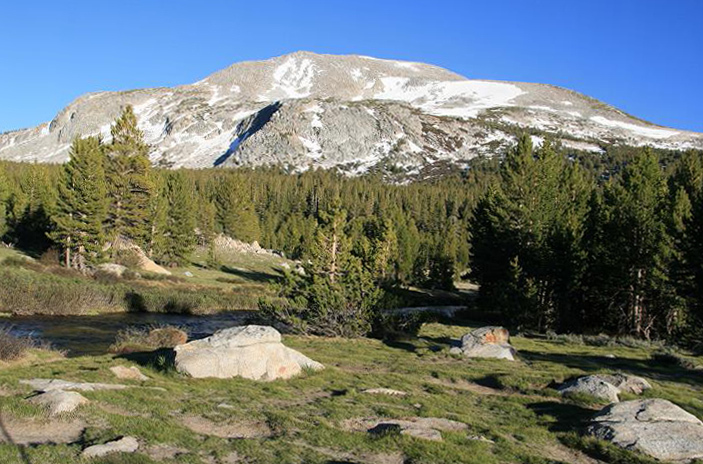 When I go back to Yosemite again, I know, I will be exploring the many hiking trails at Tuolomne Meadows and Tioga Pass more. I really love Tuolomne, its serene beauty is just so unique and so captivating. I can say, this will always be my escape spot in Yosemite National Park. 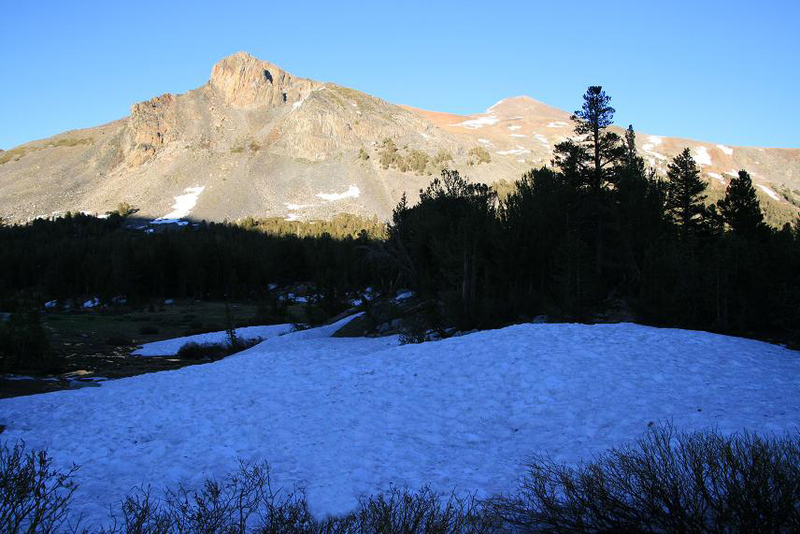 When we were simply enjoying the patches of snow in Toloumne Meadows and Tenaya Lake, here just a few yards outside of Yosemite entrance in the Eastern Sierra has a lot of snowy hills. 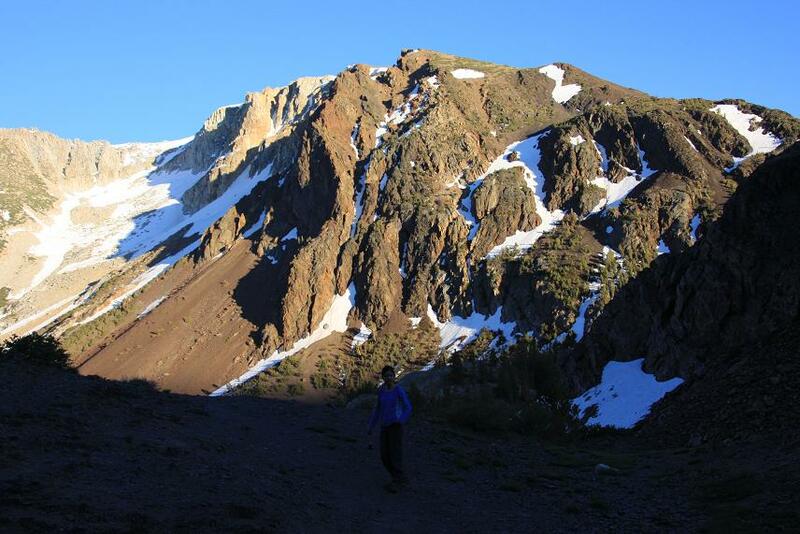 Yes, it was getting late and I was also excited to see Mono Lake, but who can stop the excitement of everybody who would want to play with snow in the summer and in the 70s? Not that we didn’t have any snow, for my brother in law and niece came from the snow packed mid-west, but then, they never had snow in the summer, and most of all, snow at 70s! Here, we had enough snow to make snowballs and to have snow fights, definnitely not a typical summer fun. We just did not have enough time to make snowman, otherwise, it would have been so cool to make Mr. Snow Man in the middle of summer 🙂 . my cousin and my niece chorused, “if there is a pull out or a turn-over, can we stop?” So, we did! It was again another running/sprinting at this lake, where we had to run not walk leisurely to examine the area where to get a picture. Clearly, not the best way to enjoy nature, but it was actually doubling the fun. 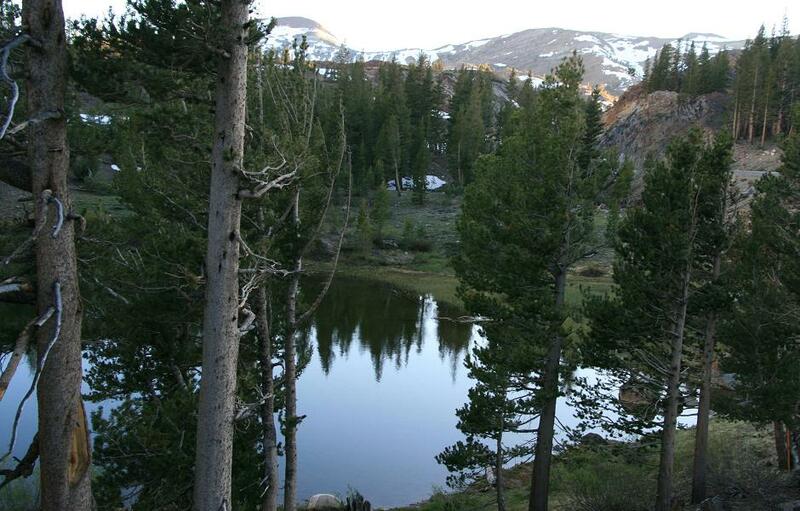 Ellerly Lake is another very lovely lake in the Eastern Sierra, along Tioga Pass. It’s really worth to stop here, such a unique beauty. 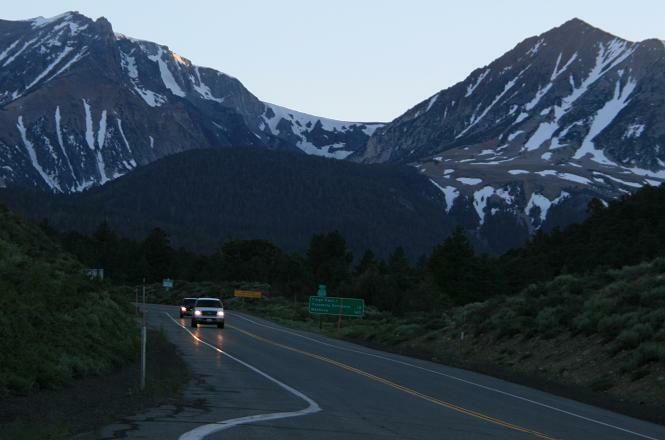 The drive to Mono Lake from Ellerly Lake was very scenic, but there were not a lot of turn outs for us to pull over. 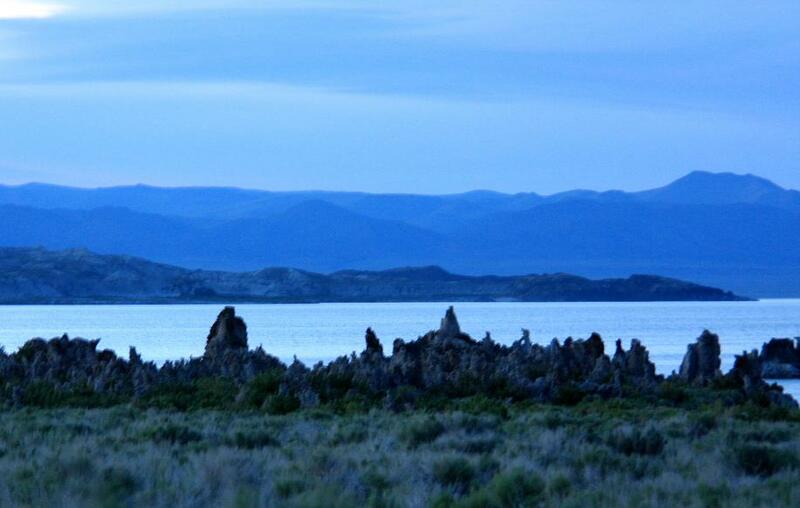 Maybe, that was helpful, otherwise, we would have never seen Mono Lake with some dusk light in it. We just have to be contented with taking pictures from the inside of a running car if we saw something interesting. High Sierra and the Eastern Sierra is really such a piece of beauty, if we had more time and started our trip earlier, we could have stopped every 50 ft :), not every 200 ft as my niece would put it. But only if there is a legal turn out. And would also have hiked the splendid hiking trails there, and see the amazing gifts from nature that lies in its backroads. Someday, we will. Finally, we reached Mono Lake, an ancient lake, one of the oldest lakes if not the oldest lake in North America. 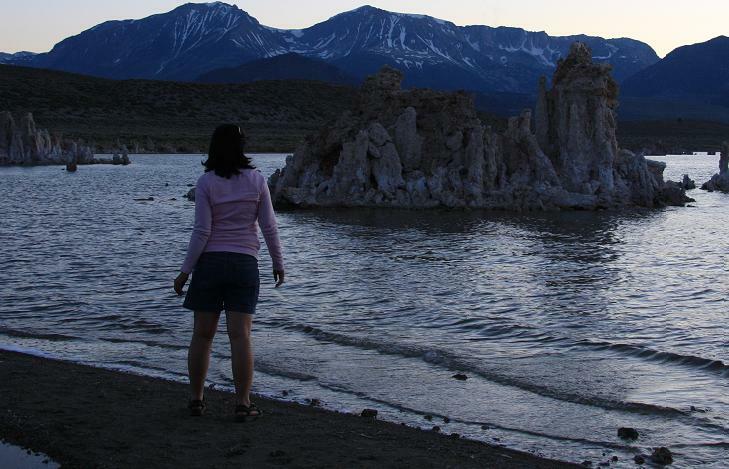 Before reaching Mono Lake, it is only me who has expectations and could describe what to see in this magnificent lake. But after seeing the lake, this has become my husband’s favorite place in our entire trip. And everybody had fun wondering with the tufa, asking questions, proposing hypothesis as to how the water level dropped drastically, as to how the bizzarre tufa were formed, as to why the alkali flies were so uninterested with us but only with the brine shrimp. Nature is always a great motivator for learning our world, a very nice gift you can give to a child as it stirs their curiosity and thirst for learning. We were too late for the sunset, but thankfully, there were still enough dusk light to help us see the full glory of Mono Lake. When we reached the dirt parking area, we again had to give our best efforts in running fast to reach the lake before it really gets dark. But before reaching the lake, I had to stop from running to catch the interesting colors of the sky and mountain which I was afraid would be gone by the time we’ll reach the lake. Thankfully, the tufas were tall enough to be seen from afar and be included in the picture. When we reached the lake, it was just hauntingly beautiful. The tufa towers may look out of this world, but the scenery is just too beautiful. The surreal beauty of desert landscape may not be for everyone to appreciate, but definitely, I am one of those who is always amazed by the desert wonders. I am so glad I have seen the amazing beauty of a desert for before my impression of a desert was an uninteresting dry piece of land and always hot. I was wrong. Moving to California exposed me to the unique beauty of the ocean, the mountains and desert, all combined. 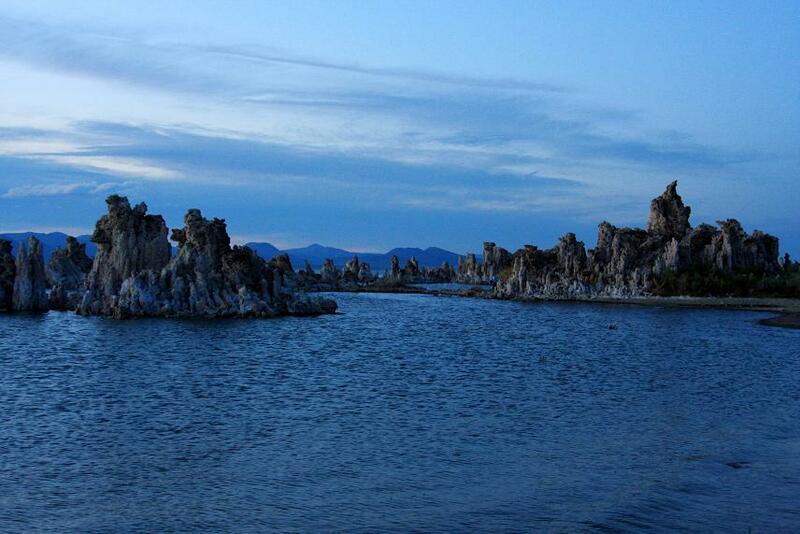 The unusual rock formations that graces Mono Lake are called Tufa. 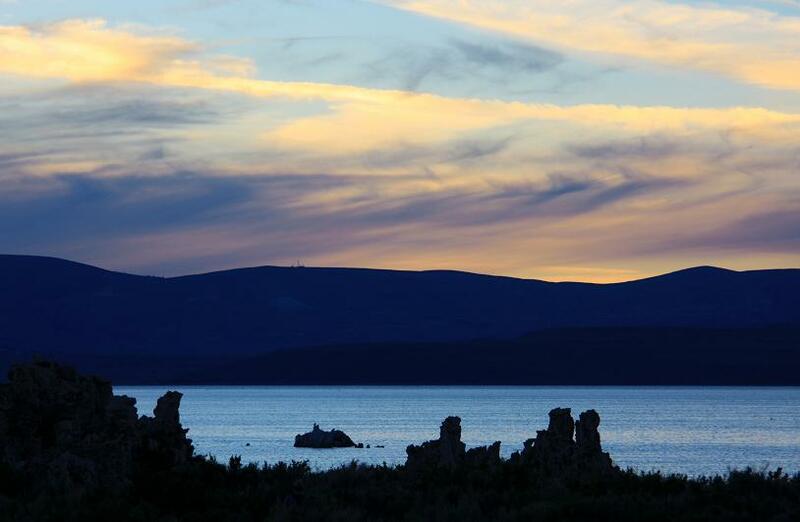 The first time I saw pictures of Mono Lake in the web, I had really wanted to see it. And being close enough to Yosemite National Park and other great places in the Sierra makes visiting Mono Lake very accessible. The tufa towers are limestone rocks that grow exclusively under water. The calcium carbonate precipitates and over decades or centuries the tufa tower will grow. 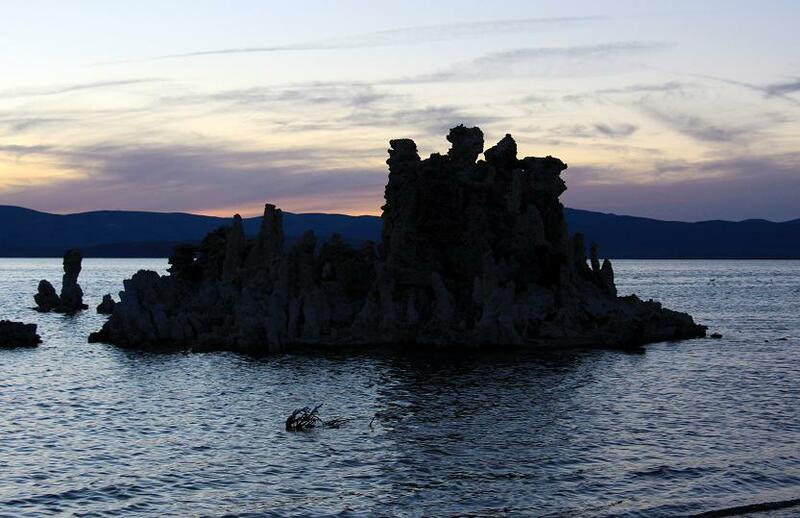 Above the water, the tufa can no longer grow and are already susceptible to erosion. 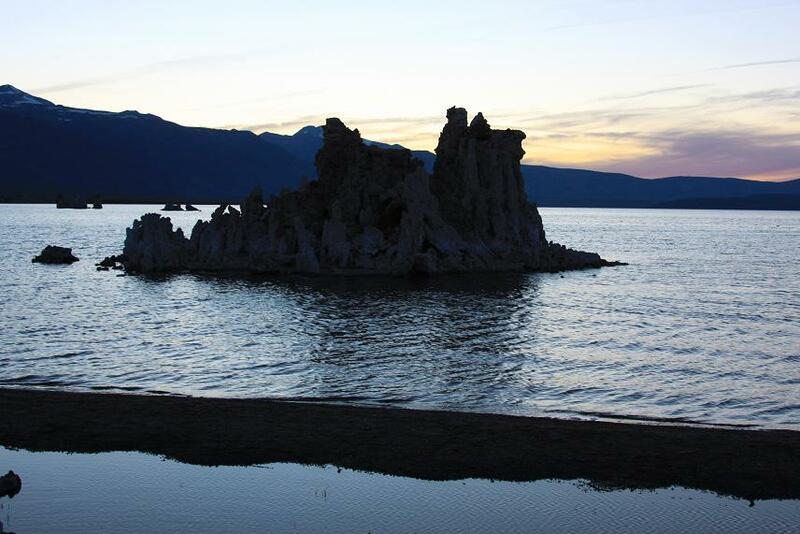 Other Great Basin Desert Lakes also have tufa, but Mono Lake has the most active formation. The Trona Pinnacles National Landmark in Ridgecrest, CA are also tufa towers but in a dry lake basin ( http://www.blm.gov/ca/st/en/fo/ridgecrest/trona.html ) . Mono Lake is really a beautiful lake, so unique, so incomparable. 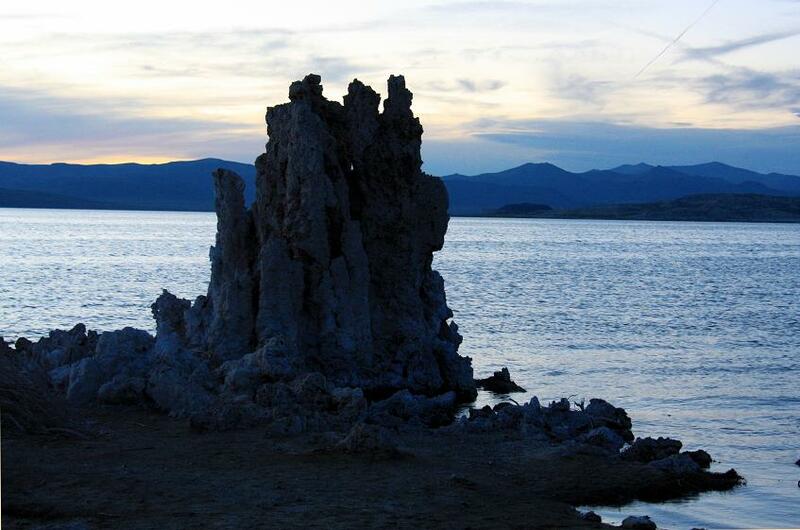 Sadly, the reasons why we see a lot of Tufa Towers in Mono Lake was because of water diversion to Los Angeles In 1941. 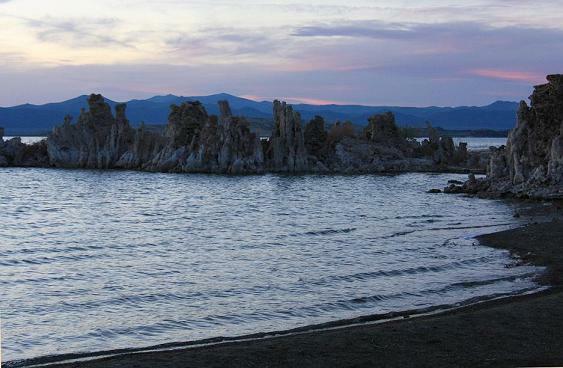 Serving the population in LA caused the dramatic falling of the water level in Mono lake. But the preservation of Mono Lake hopes to make the water rise and hopefully, make the Mono Lake become a large lake again, as it was before. Mono Lake is also a High Desert Rookery, where different species of birds breed and nest here, and make Mono Lake their great stop in their migration ( http://www.monolake.org/naturalhistory/birds.htm ). Despite the saltiness of the water in Mono Lake, where only small brine shrimp can survive the water, yet, this lake is a haven for migratory birds that feed on the brine shrimp, a great place to observe wildlife. 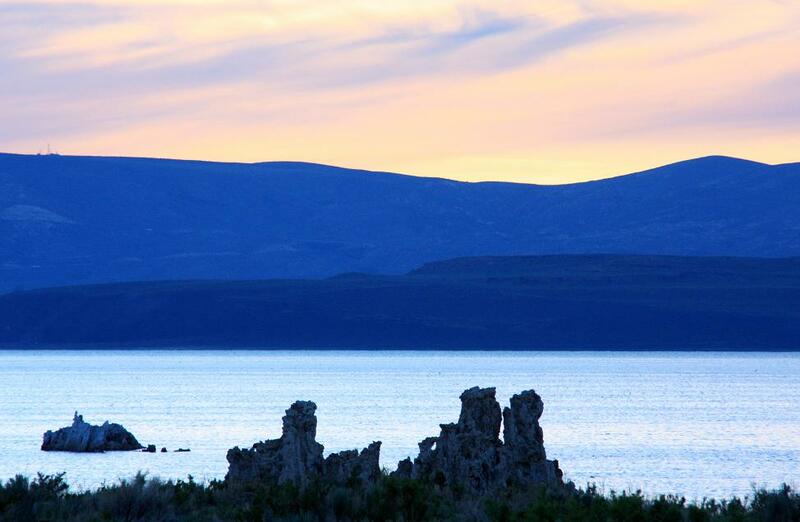 Mono Lake is really worth your visit, and really worth preserving! Our little time spent at Mono Lake was not enough, but we had to leave it since the night was getting darker. We reached our hotel in Mammoth Mountain at already 10:00 pm, and their restaurant already closed. 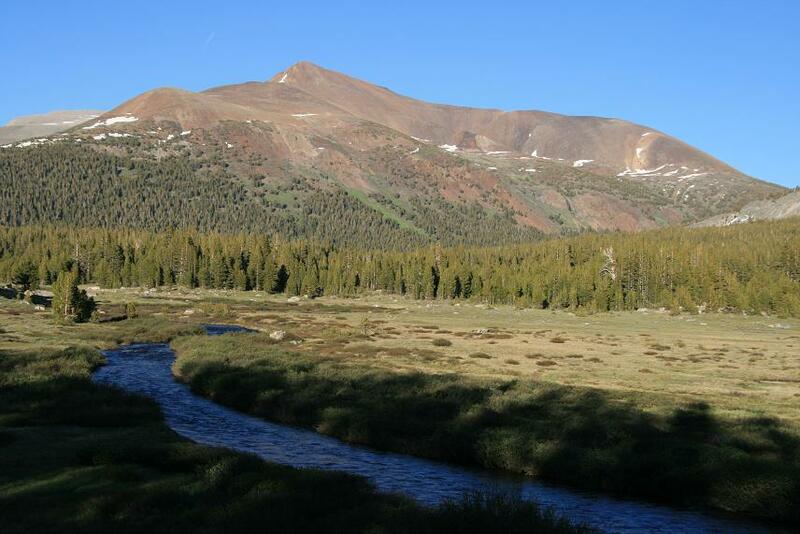 We could go back to the town of Mammoth Lakes just a few miles away, however, we were very tired to go back. The front desk staff of Mammoth Mountain Inn was very helpful to us though, she told us if we wanted they can ask some staff to prepare a meal for us. However, we did not want to bother them to do the extra effort since it was not their fault we arrived too late and did not call ahead to order dinner and save it for us. Thankfully, we had some canned goods and instant noodles left which were always our savior whenever we enjoyed the wilderness too much and got back to the park’s village too late. 6th Day, what started to be a very relaxing day in the Yosemite Valley turned out to be a series of high energy sprinting to explore the sights of the High Sierra, Eastern Sierra and Mono Lake. 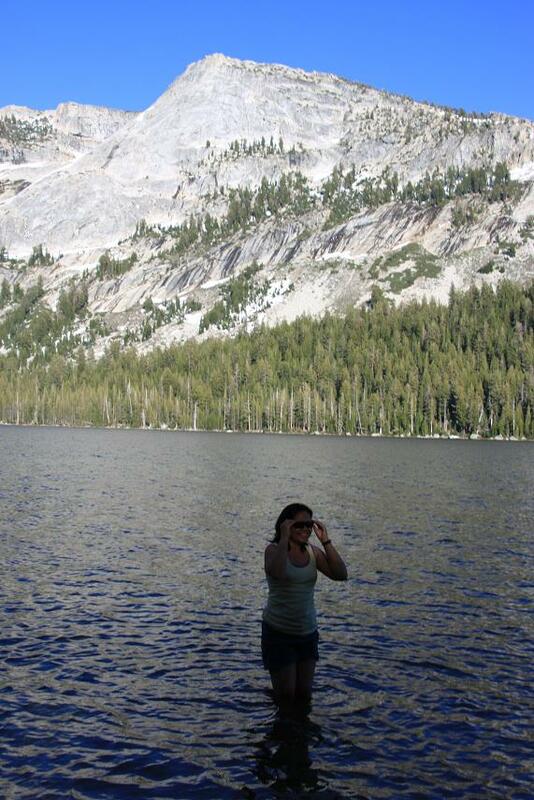 Tenaya Lake, Tuolomne Meadows and Mono Lake are definitely the wonderful highlights of our trip. 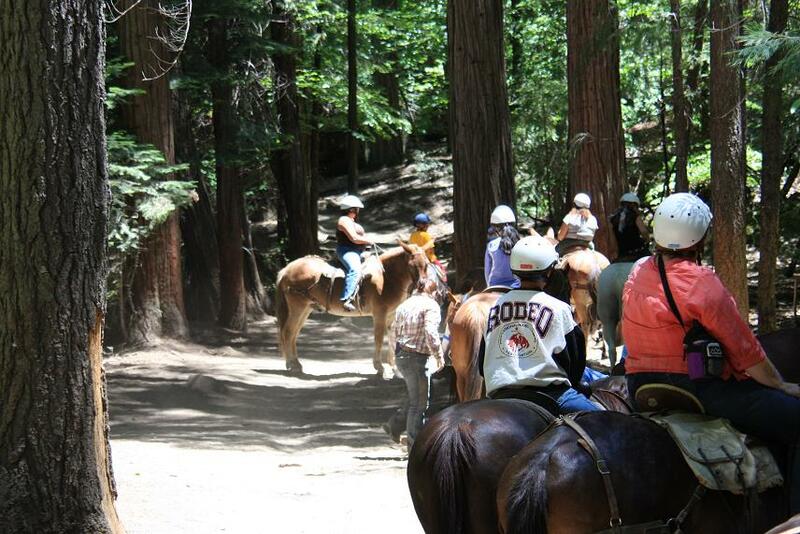 Experiencing nature is truly a rewarding, educational, and very inspirational vacation/ treat each one deserves. Entry filed under: desert, eastern sierra, forest, high sierra, hiking, nature, rocks, travel, Yosemite. 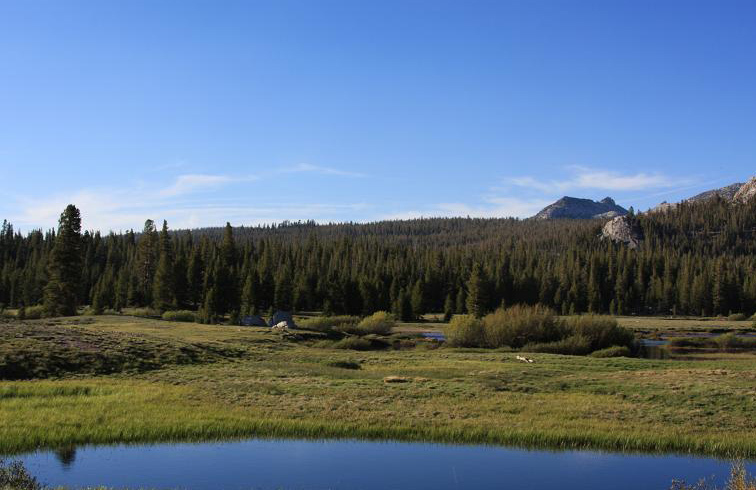 Tags: Mono Lake, Tenaya Lake, Tuolomne Meadows. 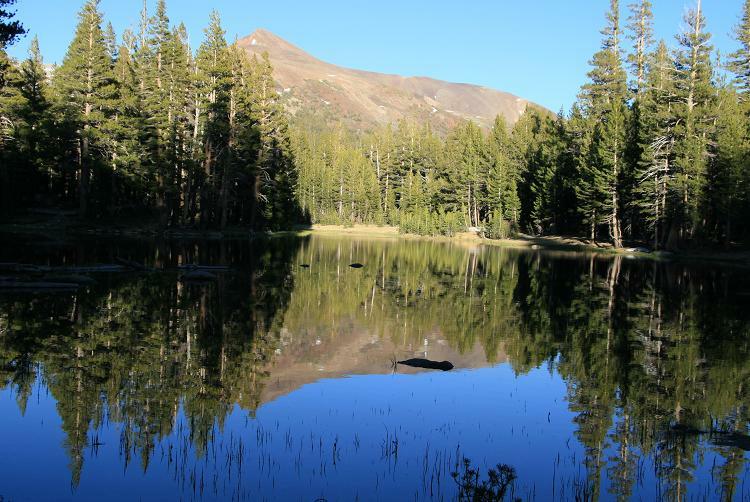 Your images of Ellery Lake are excellent. I’m really glad you took the time to stop. Thanks for sharing.